At this time of the year, the world is fixated on all things love. The commercialization of Valentine’s Day inundates us with 50 ways to play homage to that someone special in our lives. Personally, I am biased towards receiving gifts of dark chocolate but also have a soft spot for everyday items like socks emblazoned with images of my husband Greg and me on them. That’s why one of his pet names for me is “marketer’s dream.” But I digress. We do things a bit differently in our household, opting to celebrate our affection for each other annually two weeks earlier on January 28, as this is our anniversary. In fact, we just celebrated 30 years together, and it all began right here in Rehoboth on July 3, 1988. On that day, Greg Albright literally walked into my life when the guests at the beach house he was staying in (his host was Steve Hayes) were invited to dinner at the house of my hosts, Robert Bellman and Tim Schoeffler. 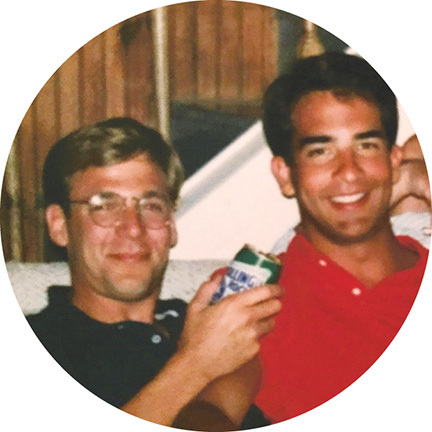 Even though Greg was “otherwise engaged” at the time, we reconnected six months later and the rest—as they say—is history. Many readers may remember the group house theme parties organized each weekend by master scheduler Chris Riss. You have us to thank for throwing Madonna’s Baby Shower in honor of Lourdes, in the parking lot of our condo. And the Neel Lattimore production of Survivor complete with grass skirts and tiki torches where guests who misbehaved were voted off the island! When people remark on how long Greg and I have been together, we often say that it really comes down to the luck of the draw. But Rehoboth deserves some of the credit as it was a place we both loved to visit. In reality, celebrating this momentous milestone was due, in large part, to the mutual respect and admiration we have for each other. This is a learned behavior, and we have some remarkable couples to thank for teaching us the importance of living your life authentically and with a purpose. Let me share a few examples of what I mean and hopefully they will remind you of people in your lives. Both my parents were only children, so their cousins were surrogate aunts and uncles like my dad’s first cousin Billy. He and his partner Howard were successful real estate developers who lived in South Florida. Growing up, I knew them as a generous couple who took very good care of my grandmother who lived near them, after my father died suddenly at age 58. After coming out in 1985 at age 19, I got to witness their kindness firsthand as arts benefactors. Throughout the late 60s, 70s, and 80s, they used their philanthropy to forge relationships with people from all walks of life. They were the consummate hosts, throwing lavish parties supporting local arts organizations where the guests were young and old, gay and straight, Republican and Democrat. Despite political and religious differences, everyone came to respect and like Billy and Howard because their mutual love of opera and community theater mattered most. In the end, being gay was of little or no consequence, something I marvel at looking back now. Given the polarization we see today, it certainly could have been a lot easier to give anonymously or to support LGBT arts organizations rather than risk being treated disrespectfully by others different from them. In many ways, CAMP Rehoboth’s Steve Elkins and Murray Archibald also lived by the same credo. 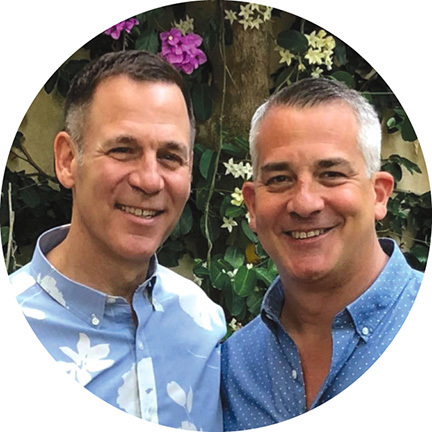 When long time Rehoboth residents opposed the opening of the LGBT nightclub, The Strand, in the late 80s, it would have been easy for Steve and Murray to assume the locals were narrow-minded, homophobic people. Instead of getting mad, they chose to start a dialogue in an effort to understand the reasons for the backlash. What they learned was everyone had a mutual love of Rehoboth but had differing points of view regarding overall growth.